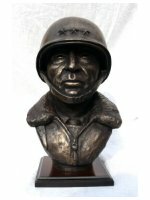 General George S Patton one of the most complicated military men of all time but regarded as one of the most successful United States field commanders of any war. 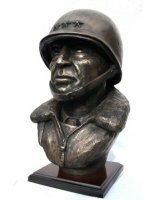 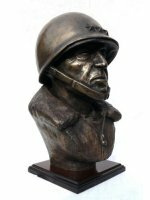 This cold cast Bronze General George S Patton Bust is made entirely by hand by sculptor Peter Close in his studio in Somerset. 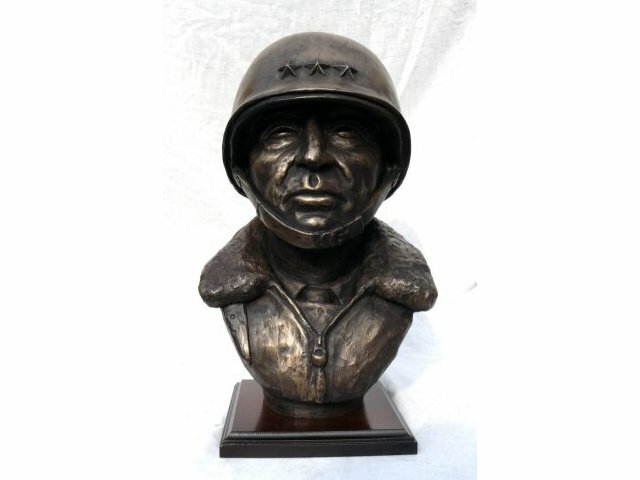 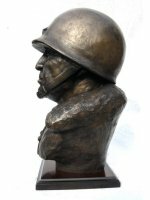 Each limited edition General George S Patton sculpture is hand engraved by Peter with its own unique edition number and will come to you with a signed certificate of authenticity.